Now, shortly after we’d decided on this topic, I mentioned it to a dear friend of mine who happens to be German. In recent months though, some tumult in my life made me think a lot about kummerspeck. I won’t go into it, but ambitious 25-year-old girls who like married men — never a good thing. For the wife, anyway. After I dropped six pounds in a fairly short period of time (and weighed almost 10 pounds less than I did when I was 15), friends sprang into action to feed me, however. Which is how I eventually discovered my own kummerspeck. According to Mr. Germany, kummerspeck ideally should be all about butter and baked goods topped with crumbly buttery sugary bits. 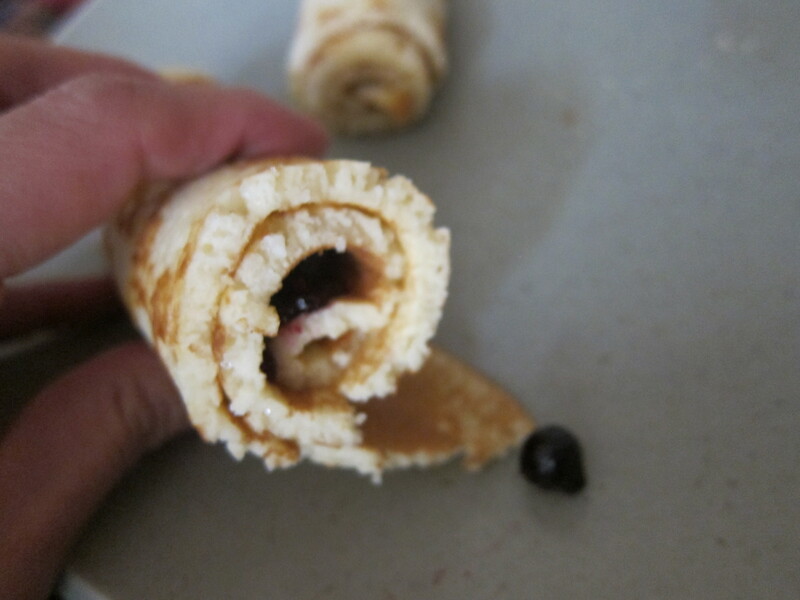 What I ended up loving, however, was something far more basic — pancakes. Specifically, German pancakes. They’re pretty easy to make — first, you mix together flour, milk and eggs with a pinch of salt, then heat up a pan with some ghee in it and you’re ready to go. And once you have a big pile of these pancakes, get out the fillings — creme fraiche, ham, cheddar, cinnamon sugar, jam and fresh fruit, for example. For sweet pancakes, you can pile on creme fraiche and fruit or jam or just sprinkle on cinnamon sugar. For savory ones, creme fraiche with ham and cheddar work well. … and you’re ready to eat! 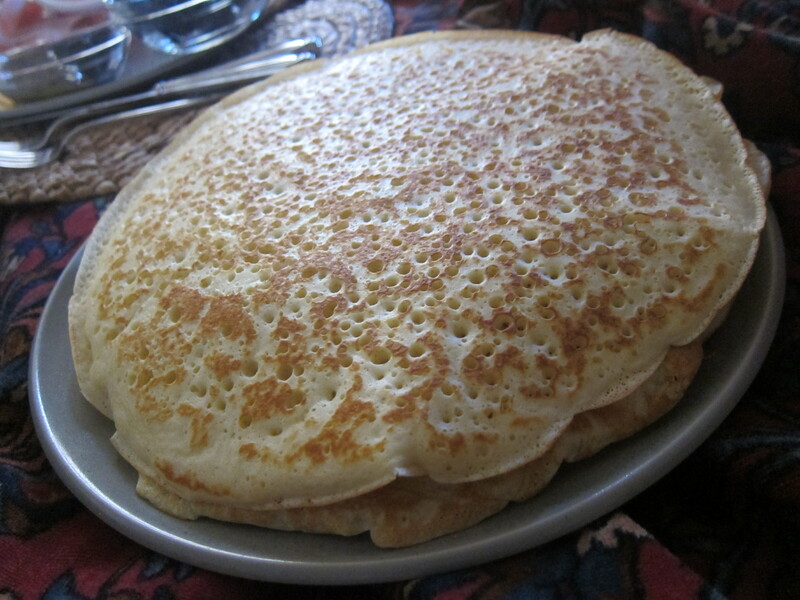 After a few of these pancakes — and more made into Flädlesuppe (pancake soup) later on — I began to feel very well-fed indeed. Not long after these, I had dinner with my dear friend Hillary, who had been closely tracking me over the last few months. And that’s when I thought: Ah, there it is — my hüftgold. And I couldn’t help but smile. Don’t forget to check out other Let’s Lunchers’ kummerspeck offerings below! And if you’d like to join Let’s Lunch, go to Twitter and post a message with the hashtag #Letslunch — or, post a comment below. Mix all ingredients together until you get a smooth batter. (If you feel it needs to be more liquid, add more milk.) Heat up a pan, then brush ghee or butter onto the pan so it’s coated. 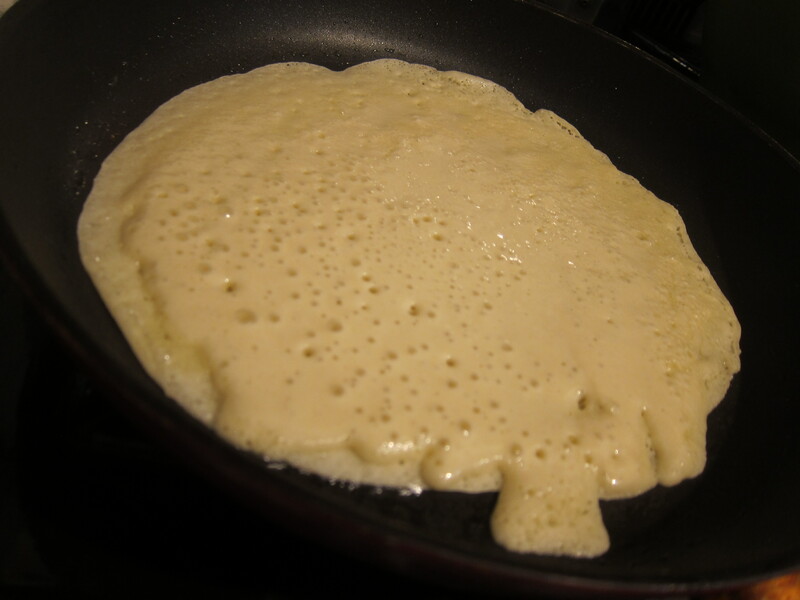 Once that’s heated up, place a large scoop of batter onto the pan and spread it out so it’s very thin. Once you start seeing bubbles, flip it over and cook for just a little more. Remove and repeat until batter is done. Serve with tart jam, creme fraiche, ham, cheddar, cinnamon sugar or fresh berries, depending on whether you prefer sweet or savory pancakes. 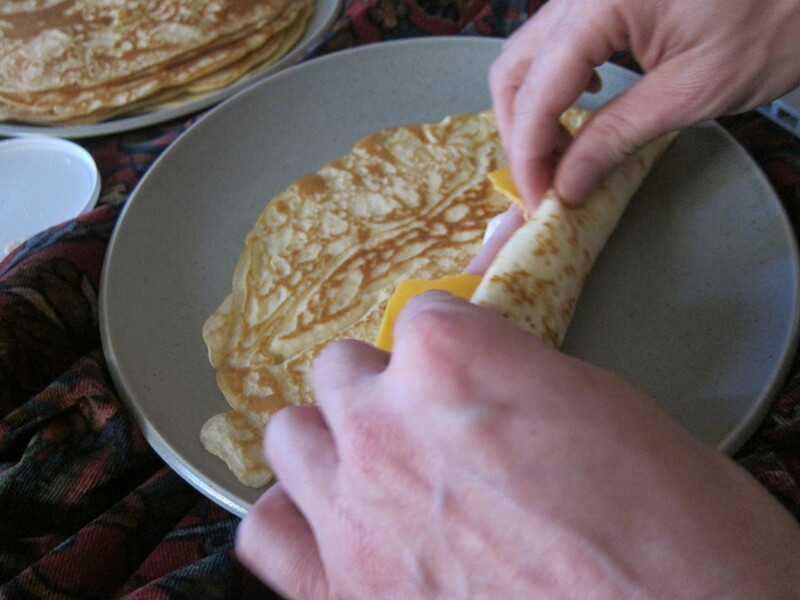 Place desired combination of ingredients on a flat pancake, roll it up and eat with your hands. This entry was posted in Bacon, Breakfast, Brunch, German, Let's Lunch, Sweets and tagged Bacon, Breakfast, David Amsden, Flädlesuppe, German, Grief Bacon, Hüftgold, Kummerspeck, Let's Lunch, Pancakes by Cheryl. Bookmark the permalink. Sending love and hugs. I am going to try your recipe soon! And wonderful to have the Let’s Lunch crew too — love YOUR kummerspeck! And your awesome hosting this month! Lots of hugs, Cheryl. I know it’s been a tough few months. Your post was touching. Thank you for this. Can’t wait to try! Wow, I am so sorry for your heartache, Cheryl, but glad that you are eating again. I have found the same thing – I am at my thinnest when I am most miserable and bursting out of my jeans when I am happy. These pancakes look so authentic that, I think I will even try them out on my German in-laws! danke schön! Sorry about your heartache and was nice to finally meet you in Miami, you looked A-M-A-Z-I-N-G in your sundress! 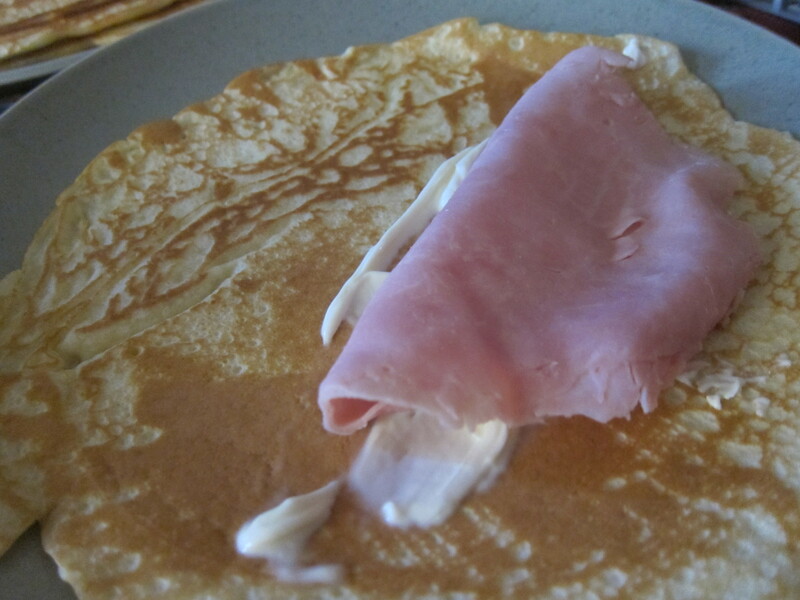 These crepes make me crave starchy carbs even though they are not in my ‘diet’ as you’ll read in my post. Like and Dislike. 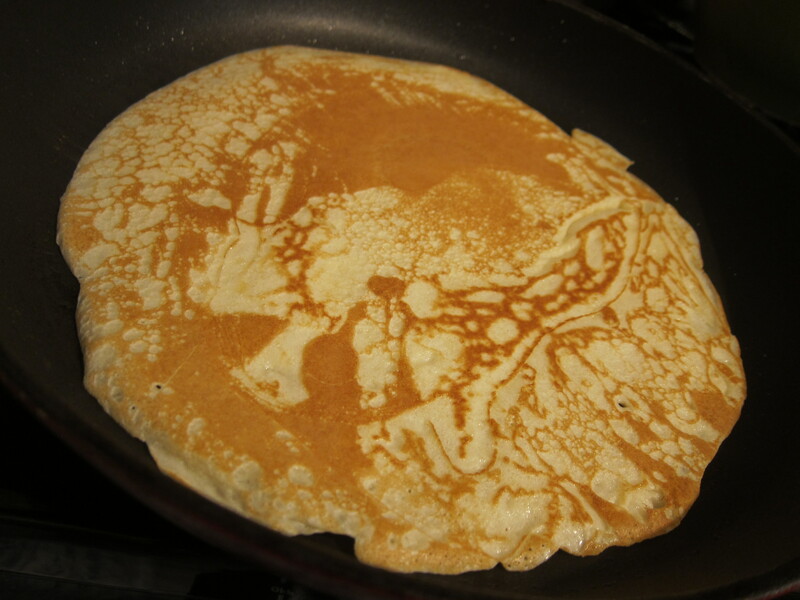 The pancakes, however, look amazing. Sending hugs! HAHA. huftgold. I think that’s brilliant that this lets lunch is not only getting me in the kitchen, it’s teaching me German! On a more serious note. I’m really sorry for what you had to go through. Some people are bastards. Yeah! We should try to have more Let’s Lunches where we learn a different language! Dear Cheryl, I am so sorry, but glad you found your hüftgold and are getting your groove back! I’m like you– those who know me would be very alarmed indeed if I stopped eating. I promise to feed you very well whenever you come back to SF. I hope your tumult is over; so sorry to hear you had to deal with it in the first place. Having your hip gold go to returning you to health and cheer is far better! 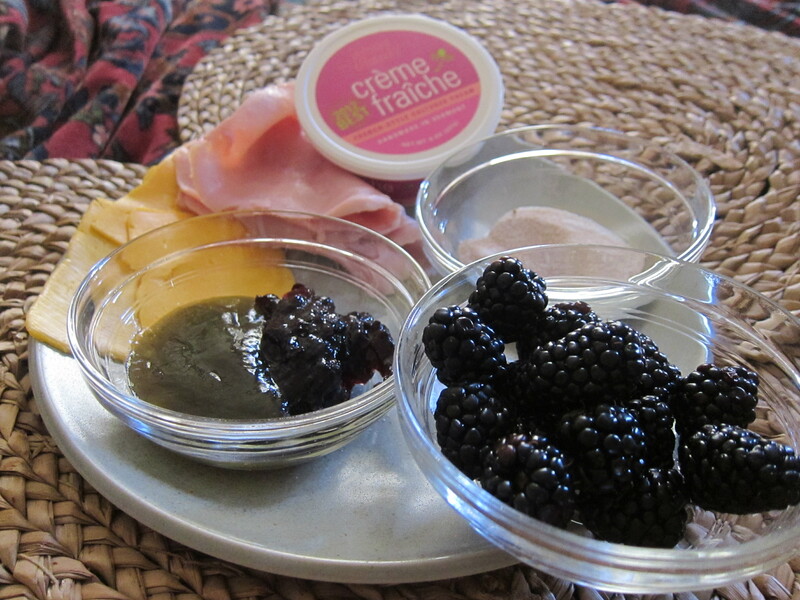 Creme fraiche with ham and cheddar sound PERFECT. Pingback: Glass of Fancy » Blog Archive » Let’s Lunch: Kummerspeck - Fashion, fiction, and life in the city. What a rich and luxurious recipe for pancakes. Can’t wait till morning, must make these for brunch. Thanks for sharing the recipe. What fun to do Let’s Lunch with you, Cheryl! Huftgold and I are old friends, but the German pancakes are new to me ~ and you make them sound fantastic. Love that there are two Lucy’s in #LetsLunch now, and we’re both from Georgia. Yes! I just noticed that you’re both from Georgia! You should have a meet up…!